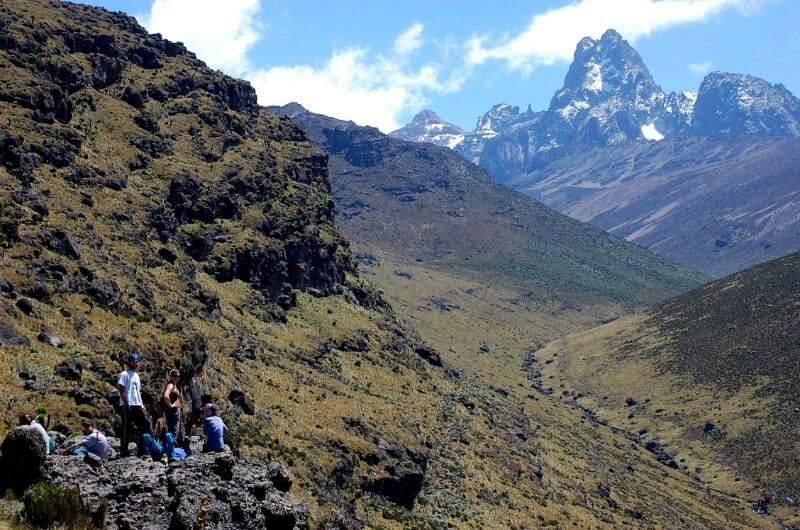 Mount Kenya is Africa’s second highest mountain at 5,199m (17,058 feet) and the highest of all Kenya Mountains. Mount Kenya is roughly circular, about 60km across at the 200mm contour, where the steep font hills rise out of the gentler slopes of the centered highlands.At the centre of the massif, the main peaks rise sharply from around 4,500m to the main summit of Batian 5,199m, Nelion 5,188m and point Lenana 4,985m. Other major summits on the mountain include Point Piggott 4,957m, Point Dutton 4,885 and Point John 4,883m. 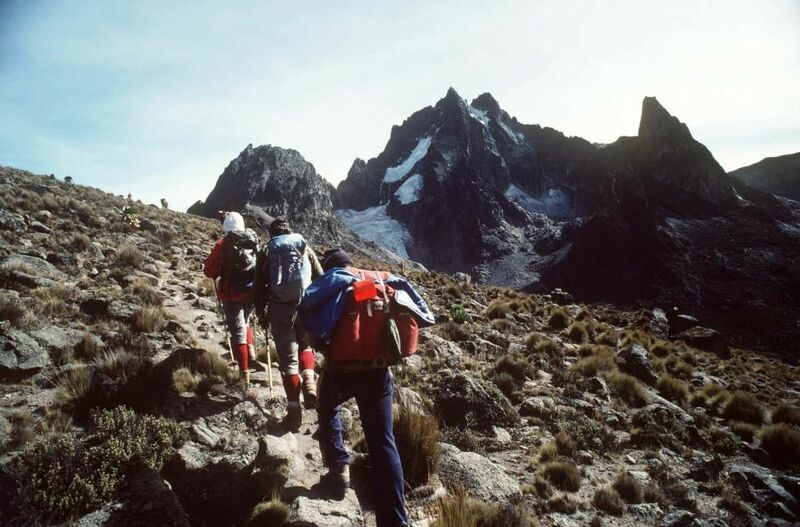 Of the three main peaks (Batian, Lenana and Nelion), only point Lenana can be reached by trekkers and the other two being only for technical climbers. Although, Mount Kenya can be climbed all year round, the highest rainfall occurs between late March and the middle of May, and slightly less between late October and mid December. Maximum rainfall occurs in the forest belt and on the south-east side of the mountain where it reaches 2500mm. per year at 3000m. Rain and, higher up, snow can however be encountered at any time of year – even in the driest periods (January and February). Normally the drier seasons are associated with clear, dry weather which can last for many days on end. The best weather is generally in the mornings, and convectional rainfall, if any, tends to come in the mid-afternoon. It’s safest to climb Mt. 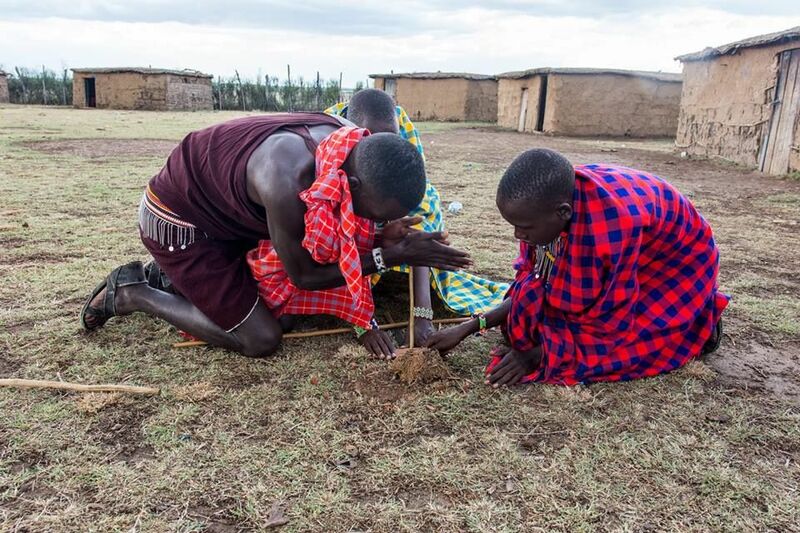 Kenya during the dry seasons: January – February and August to September off the most reliably fine weather. The main routes are likely to be more crowded at this time of the year. If you favor complete solitude over the sunny skies, try going slightly off the peak season. It’s best to avoid the two rainy seasons from mid March until June and from late October to the end of December. Mount Kenya VegetationMount Kenya is home to some fascinating high-altitude alpine vegetation including giant groundsels and lobelias. Mount Kenya climbing Routes/ItinerariesThere are three main routes, which penetrate the forest and the moorland. 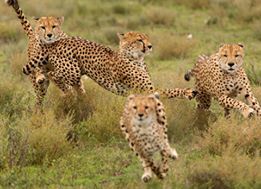 The routes are Naromoru route, Sirimon route and Chogoria route and each of which has something different to offer. 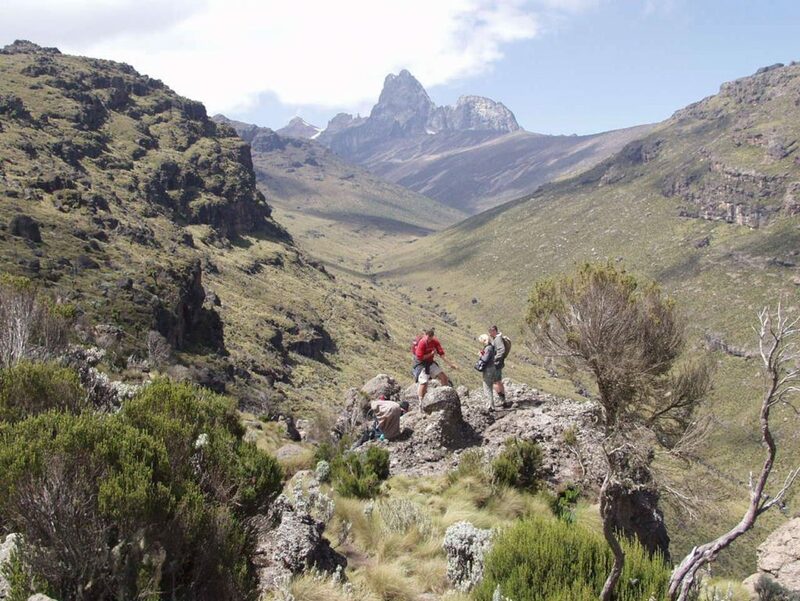 The Trek Mount Kenya Climbing Expeditions has offers for the below hiking routes. It is possible to combine hiking Mt. 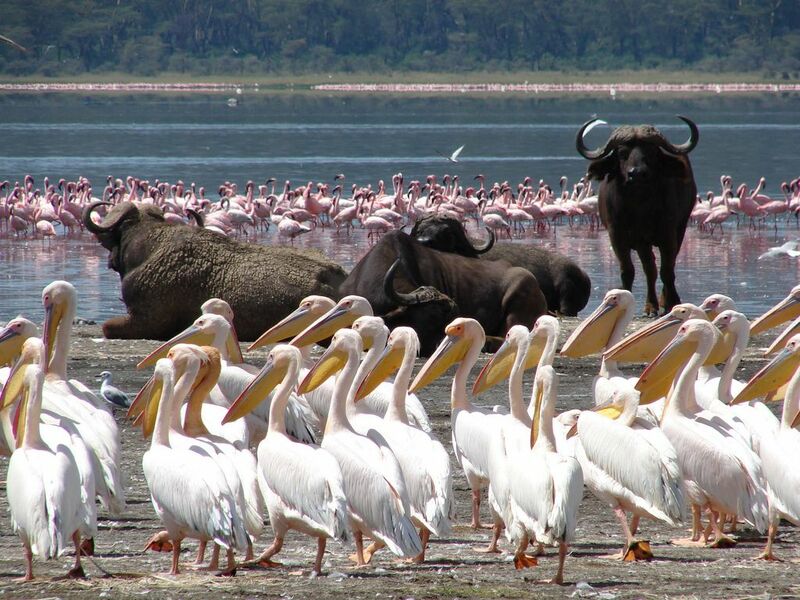 Kenya with Kenya safaris.